Brad Preston has become accustomed to being told he bears a resemblance to Phil Mickelson, winner of 42 events on the PGA Tour, including five major championships. So when Preston heard a nationwide search was underway for Mickelson lookalikes to appear in a commercial with Lefty himself, there was no hesitation. Preston sent in a selfie, then waited for his phone to ring. Sure enough, it did. You’ll have to read the Q and A below with Preston, Sport Ngin’s Director of Volleyball, to find out what happened next. 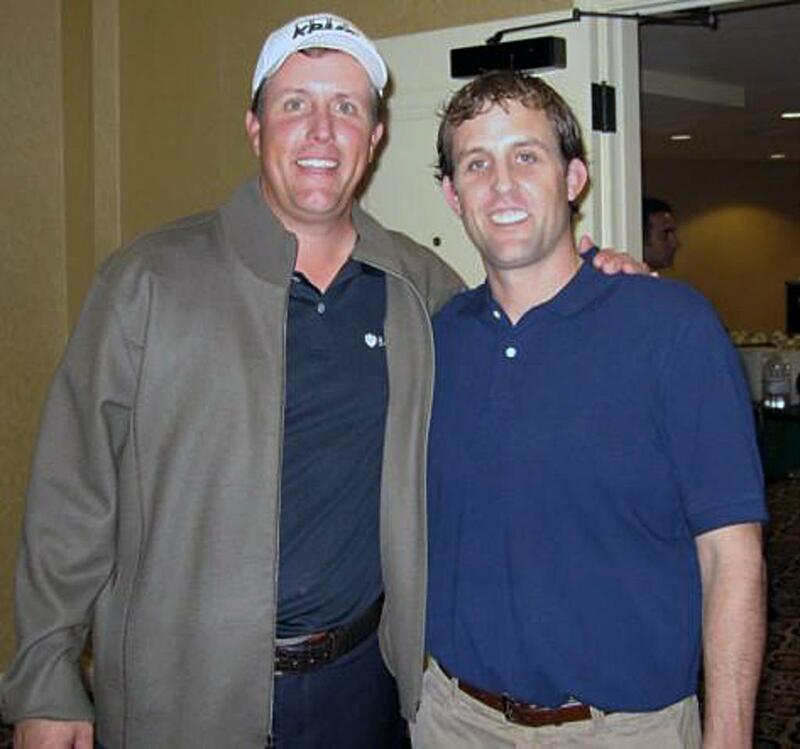 We can say that we found a photo (posted below) of Preston and Mickelson looking awfully chummy on Preston’s Facebook page. The Mickelson tale is just one of many compelling stories associated with Preston, a Canada native who played junior hockey in Southern California. In another unlikely twist of fate, as a co-founder of Advanced Event Systems, the self described "hockey puck" became embedded in the world of competitive volleyball. 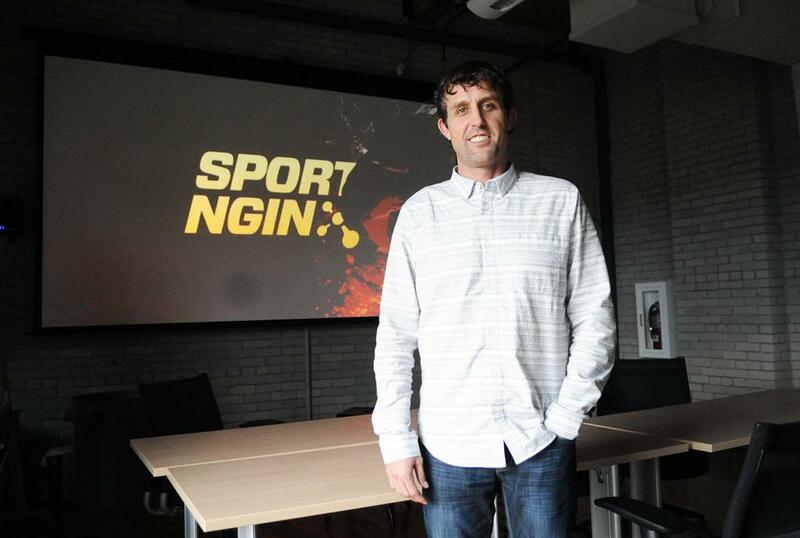 Sport Ngin acquired AES on Oct. 15, 2015, and Preston has been busy helping integrate the two companies' technologies ever since. Phil Mickelson, left, and Sport Ngin Director of Volleyball Brad Preston hanging out in Southern California. 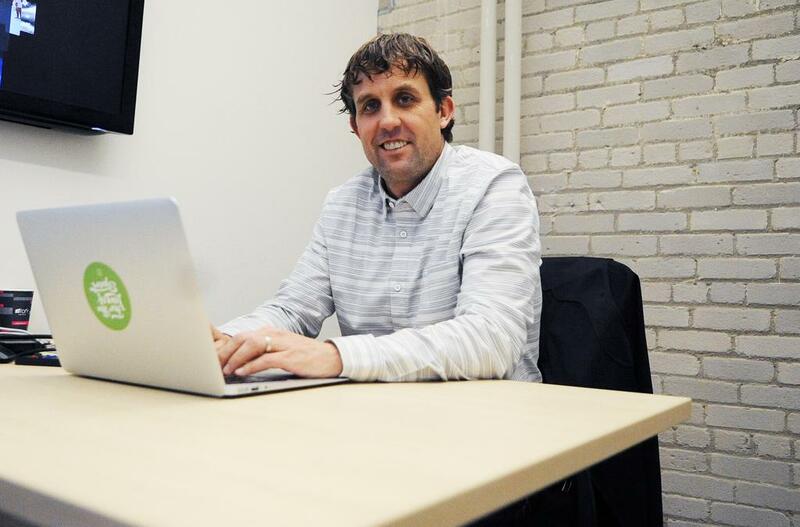 Preston founded Advanced Event Systems, an event-based scheduling system used by USA Volleyball, after graduating from the State University of New York at Fredonia. Sport Ngin acquired AES on Oct. 15, 2015, but Preston's role leading the company hasn't changed to a significant degree. Born in Toronto, Preston was raised in Grand Rapids, Michigan, before his father was transferred to Southern California. A hockey player, Preston was a member of junior teams in the Los Angeles area before heading east to play his high school hockey at Northwood School in Lake Placid, New York. He starred alongside his older brother, Eric, at Fredonia State, a Division III school. Brad played three seasons in the minor leagues after college. He was cast as a Phil Mickelson lookalike in a Crowne Plaza commercial in 2008 but did not appear in the final cut. Question: You played hockey growing up, in college at Fredonia State and still lace them up in men’s leagues and tournaments. 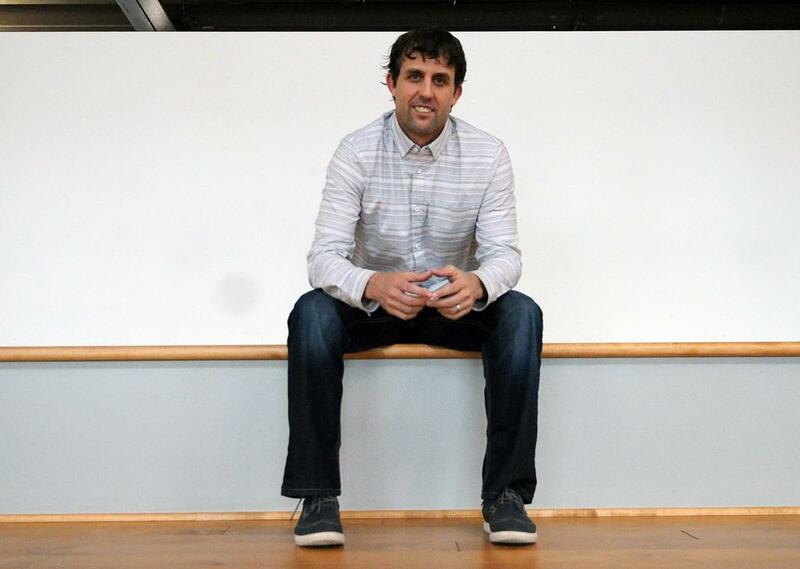 So how did you end up leading a volleyball-focused company? Answer: I’ll just give you the quick story. So I was born in Toronto and grew up in Grand Rapids, Michigan. I played hockey in a Little Caesar’s League there growing up. My dad got transferred out to California. That was the summer Gretzky got traded, so it was pre-evolution of hockey in California, which was kind of neat to be a part of that. There was really only enough talent to make one real good team. So I played on the junior teams out there and traveled quite a bit. Came back east for high school. I went to a prep school called Northwood and played there for a couple of years. Then I went on to Fredonia State, where I played and got my business degree. After graduation I played in the minors, the Central League, for a couple of years. I ended up working in Maryland for six years at a software startup. And that software startup was kind of the start of what AES is today. It was a registration company in the dot.com era. It was pre, kind of the registration platform type stuff, it was like early internet type stuff. One of our clients came to us to build a custom solution for volleyball. It was USA Volleyball. So we sat down and, from the ground floor up, really looked at all aspects of what their needs were for running their tournaments, from registration to event management to taking their pretty elaborate Excel documents and create them into a tool or software to schedule. Then the third leg of the tripod was hotel management and hotel management inventory for these tournaments. That was in 2000. Fast forward, it was really a great tool for a number of years. Then we turned it into a company in 2007 and ran it as Advanced Event Systems. That’s how a hockey puck ended up in the volleyball space. It was more about being at the right place at the right time. Q: How has your role with AES changed over the years? A: The core hasn’t changed a lot. It’s been centered around fostering and building relationships with tournament directors who are now friends and clients. We’ve built a long-lasting business partnership. Some days it is support, some days it is billing, some days it is scheduling. Being so small, I think we are really nimble and we are able to react fast. To be able to get on the phone as a single point of contact, to work with tournament directors to hopefully provide a solution. Along the way there have been issues. And issues crop up. I always say, it is how you handle them and how you work through them is what is important. They know how much we care about them and their success. When issues arise we really try to jump on them right away. Their events run on weekends. When the phone rings on Saturday we can’t wait until Tuesday to get a call back. And they appreciate that. Q: What are some of the biggest lessons you have learned in the last 10 years running AES? A: The age-old adage that hard work is the cornerstone of any job, any sport, is paramount. Attention to detail is an area that is super important. The relationship component of it. If I say I am going to do something, making sure it gets done. I would rather undersell and overdeliver than oversell and underdeliver. Q: From a technology perspective, where do we stand with the integration between AES and Sport Ngin? A: We are rolling out widgets, and the widgets that are going to be included are from AES into Sport Ngin page elements for Sitebuilder pages. It is going to include a club level, teams within a club, the national and regional rank for those teams and the events that they have played in or are playing in that are within AES. So it reduces the amount of time it would take somebody to take all that information from one system and port it over to another. Now you can flip it on a switch. And those pages are now beefed up from the data within AES. It has really helped the Sport Ngin customers. Q: What other changes can current AES clients expect to see? A: Now we have more breadth in what we can do, more horsepower. A good example of that is the migration of the technology to AWS. We are on Amazon Web Services now, so that opens up all the doors of scalability. We’ve had issues in the past with site speed, too many people hitting the same pages at the same time. It was a big win out of the gate to migrate over to a new data center. 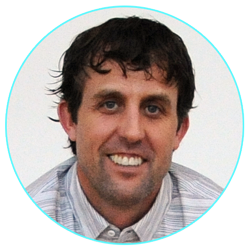 Q: What excites you most about joining forces with Sport Ngin? A: I feel very fortunate that AES was able to grow to a point where we were able to recognize that we needed help, we needed infrastructure, we needed guidance and brain power. 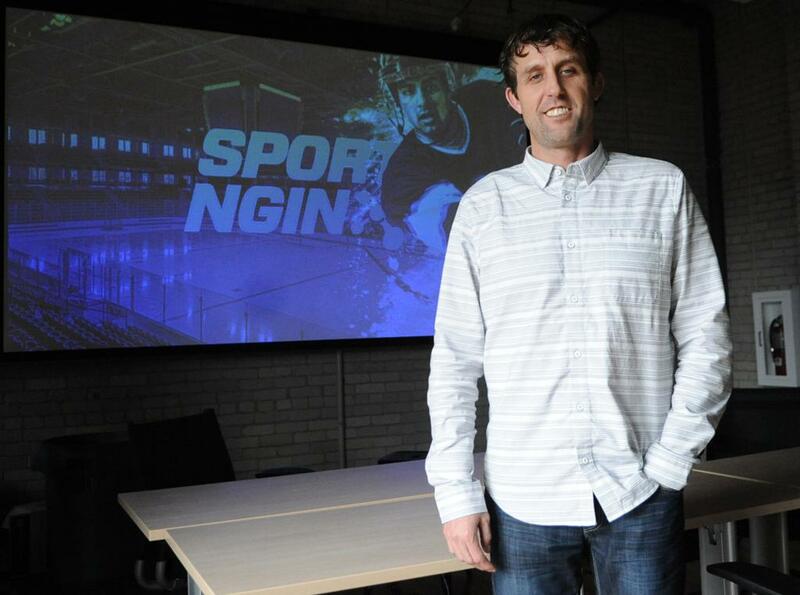 (Also joining Sport Ngin from the AES acquisition is Volleyball Operations Director Anthony Knutson, Preston's right-hand man for the past three-plus years). I like the collaborative approach I’ve felt since Day 1. No idea is a bad idea. To feel welcome inside an organization this large is very welcoming. I just want to try and help share and foster and help all of us do a nice job for our end user. 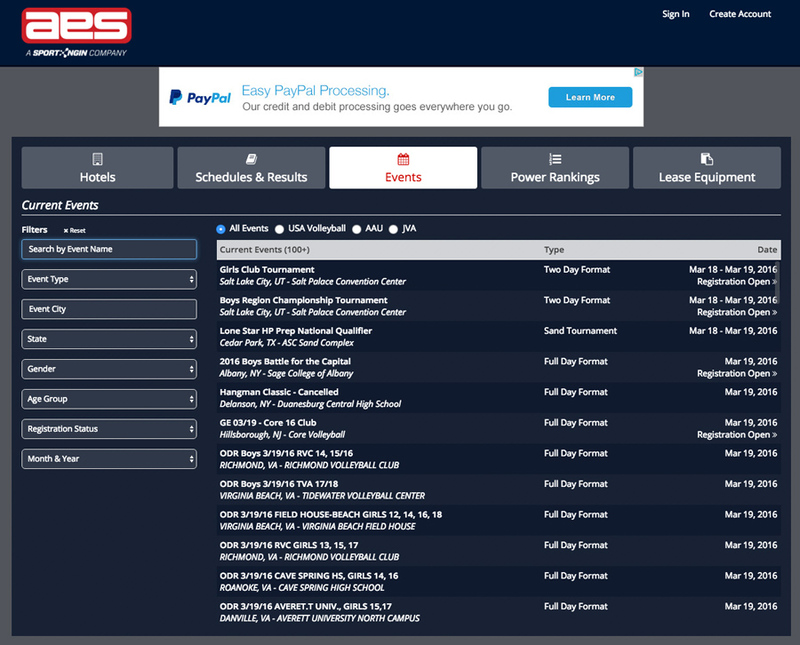 Q: What opportunities do you see becoming available for current Sport Ngin volleyball clients? A: Partly, what I just described, in that if you are on site builder or using registration to share and use page elements that exist within AES regarding an event, regarding a team’s rank. When the event concludes, how a team did. All that information is readily available in AES. There is value for the clubs and the teams to have that populate on their sites. Just the overall club management aspect of camps, clinics, tryouts. The ability to take that information, say for tryouts, and be able to pass it directly to USA Volleyball or to AAU to shorten the number of input touchpoints that a parent or club feels today. My hope is having that conversation to minimize the number of steps it takes in the day to day management of player data. Q: There’s a photo on your Facebook page showing you hanging out with Phil Mickelson. Do you and Lefty cross paths often? A: I was actually in a Crowne Plaza commercial a number of years ago. The concept of the commercial, our segment of the commercial, was guys that look like Phil. I was listening to Jim Rome one day and David Feherty was on, and he was talking about this Crowne Plaza thing, saying go to this site. People have told me I look like Phil Mickelson, so I just took a picture of me, and put it by one of (Mickelson). And I sent it off. A week later I got a call that I had a first-class flight to LA for a casting call. Got in a room with 12 quote unquote lookalikes and made the final cut and got flown back out to San Diego to make this commercial with Phil. We got to spend two-and-a-half days there doing that. Got my SAG card, which is a Screen Actors Guild cart. It was a great experience. I got to meet Phil. I got to hang out with Bones (Mickelson’s caddy Jim McKay) and have lunch with him one day. Q: It looks like you have some experience as an endurance athlete. What type of events do you like to enter? A: I started doing triathlons seven years ago. My sister-in-law introduced me to the sport. More or less it was just something to change up the daily workout routine. I was never a good swimmer, so it was a new challenge. I have done a handful of triathlons. I have never done a full Ironman. I have done three half-Ironmans. I have run a couple of half-marathons. I have never run a full marathon. I’d like to get back into it. It has been a couple of summers since my last race. I ran the Nashville half marathon last year. Just to break up the monotony of going to the gym. Once the gun goes off it kind of gets the juices flowing, and I kind of enjoy the competitive nature.